New Zealand court says Megaupload founder Kim Dotcom can be extradited to U.S. The onetime file-sharing mogul has fought U.S. racketeering and criminal copyright charges for years. WELLINGTON, New Zealand — The New Zealand Court of Appeal ruled Thursday that internet entrepreneur and Megaupload founder Kim Dotcom could be extradited to the United States to face racketeering and criminal copyright charges. The court's written decision rejected Dotcom's appeal and upheld a lower court ruling in 2017 that the extradition could take place. The six-year legal saga is widely seen as a test for how far the United States can reach globally to apply U.S. firms' intellectual property rights. U.S. authorities say Dotcom — the German founder of Megaupload, who legally changed his name from Kim Schmitz more than a decade ago — and three co-accused Megaupload executives cost film studios and record companies more than $500 million and generated more than $175 million by encouraging paying users to store and share copyrighted material. Dotcom's attorney, Ira Rothken, told Reuters via email that his client would appeal the decision in the Supreme Court. 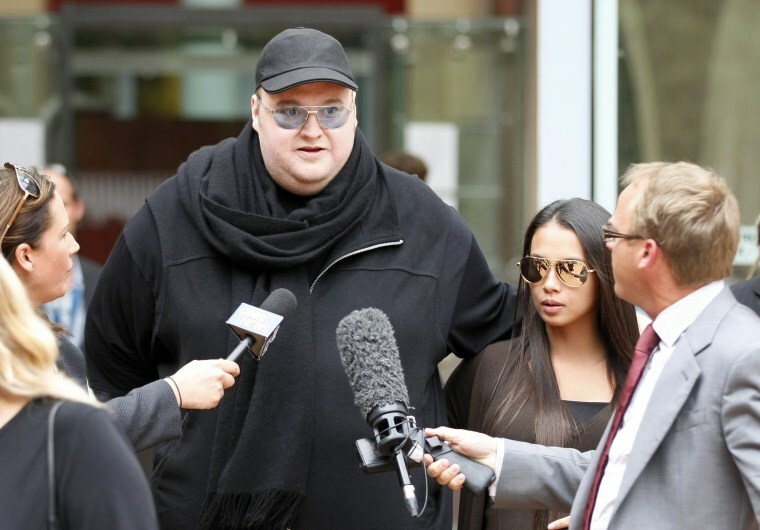 "We think that ultimately Kim Dotcom will prevail," Rothken said. We are disappointed with today’s Judgment by the NZ Court of Appeal in the @KimDotcom case. We have now been to three courts each with a different legal analysis - one of which thought that there was no copyright infringement at all. We will seek review with the NZ Supreme Court. Dotcom's lawyers have argued in previous court cases that copyright infringement isn't a criminal offense in New Zealand and that there wasn't enough evidence that Dotcom and other Megaupload executives conspired to commit a crime. Kim Dotcom's rise is a legend fit for the Silicon Age. Dotcom, who has New Zealand residency, became well known for his lavish lifestyle as much as for his computer skills. He used to post photographs of himself with cars and vanity licence plates like "GOD" and "GUILTY," shooting an assault rifle and flying around the world in his private jet. Dozens of black-clad police raided Dotcom's mansion in 2012, breaking him out of a safe room and confiscating millions of dollars in cash and property, including a fleet of luxury cars, computers and art work.